Aftercare begins Wednesday, August 15, 2018. 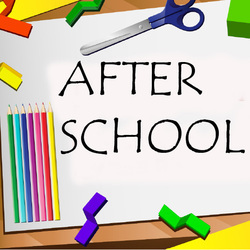 Aftercare is open to St. Mary Academy students, from 3:00 p.m. until 5:30 p.m. (12:00 p.m. until 5:30 p.m. on half days), for a nominal fee. Under the supervision of the staff of St. Martha and St. Mary, students are allowed to complete their homework, read, play games, use the playground or may choose to participate in exciting and enriching extracurricular activities, for an additional fee. Each day of the week offers a unique, exciting activity in which students may participate after signing-up for each class. Please note that each of these additional classes are in addition to the St. Mary after-care and are coordinated by a sanctioned third-party organization. Click on the following links for additional information. Please contact us for additional information. • Registration Fee (per child): $50.00 - Covers supplies and use of the St. Martha and St. Mary facilities. • Daily School Day Rate per child: $12.00 - 3:00 PM to 5:30 PM flat fee..
• Half-Day Rate per child: $20.00 - 12:00 PM to 5:30 PM flat fee. • Additional Child per family 10% Discount- Assessed per additional child on the daily rate. Please note that a late fee of $5.00 per minute, per child, is assessed after 5:30 PM and must be paid upon arrival. New students to St. Mary Academy’s After Care Program click here. Returning students to St. Mary Academy’s After Care Program click here.